The Japanese popular rock band FLOW, consisting of two vocalists KOHSHI and KEIGO, guitarist TAKE, bassist GOT’S, and drummer IWASAKI, starts their first world tour in May 2015. FLOW is known for singing many Japanese animation theme songs, which includes the opening theme for the famous Japanese animation "NARUTO". They will be visiting eight countries: Japan, Taiwan, United States, Peru, Brazil, Argentina, and Canada. They have performed many music festivals worldwide, but this is the first time for them to hold headlining shows overseas. FLOW is supported by many enthusiastic fans from all over the world. They sang four theme songs for "NARUTO", “GO!! !,” “Re:member,” “SUMMER FREAK,” and “Sign,” which are the most songs sung by one artist through the entire series. FLOW will also sing the official theme song for the stage adaptation of "NARUTO", which performances will start in Japan and overseas March 21st. FLOW has sung theme songs for many other popular anime such as “DAYS” from "Psalms of Planets Eureka seven", “COLORS” from "CODE GEASS Lelouch of the Rebellion", and “HEY!! !” from "BEELZEBUB". 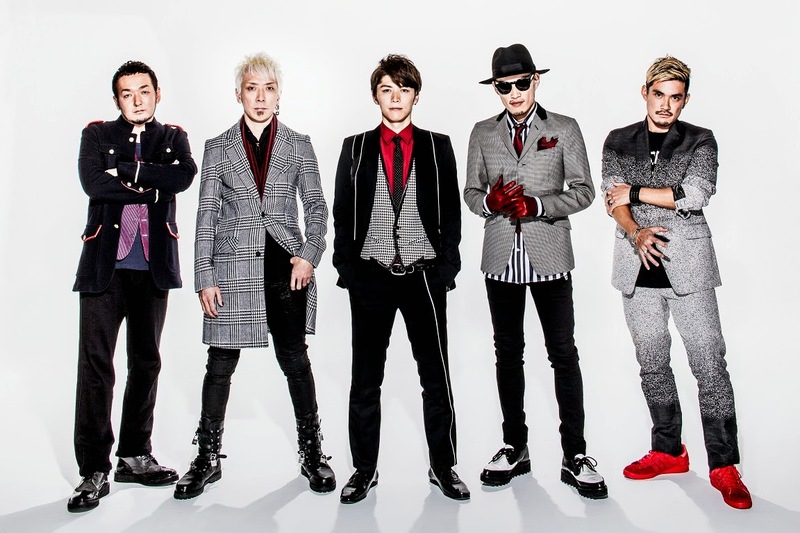 To show their immense popularity, in 2013, FLOW covered “CHA-LA HEAD-CHA-LA,” the theme song of the theatrical anime "DRAGON BALL Z: Battle of Gods". They recently released a single, “7-seven-,” in collaboration with GRANRODEO for the animation "The Seven Deadly Sins" which has attracted much attention. Their best album “FLOW ANIME BEST KIWAMI” was released on February 25th in Japan. On March 13th, the album will be available through iTunes and other online music platforms in 37 countries. The album includes not only popular songs like “GO!! !” and “DAYS,” but also their latest single “7 -seven-” and a new song titled “AWAKE.” In addition, the album will also include the cover of “GLORY DAYS” by D☆DATE and the cover of the opening theme song to "NARUTO SHIPPUDEN", “Blue Bird” by Ikimonogakari. PERU, BRAZIL, ARGENTINA, CHILE… The date is coming soon…!